Despite my protests, Mary adopted this little guy in 2011. He was the tiniest dog at the rescue. 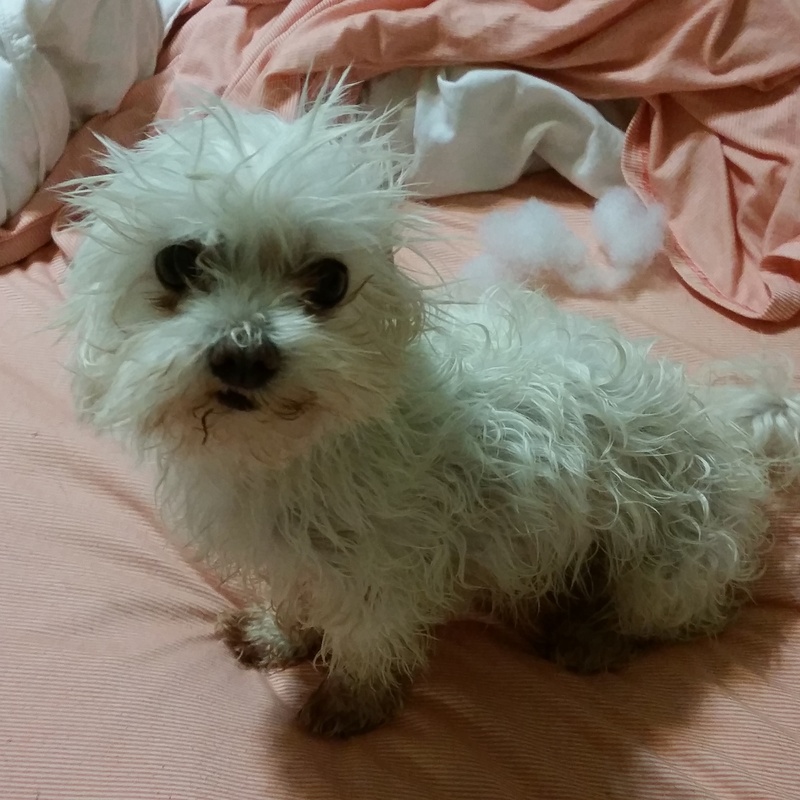 While cute, we found that tiny dogs come with their own unique health problems. 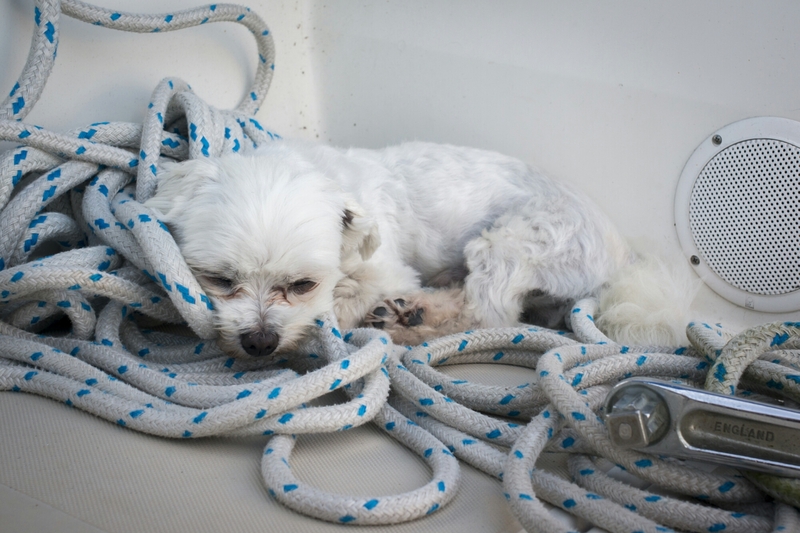 While Tex now enjoys the perks of traveling around the US, sailing on the weekends, and sleeping on fluffy pillows, he still has terrible dental problems and occasional seizures. 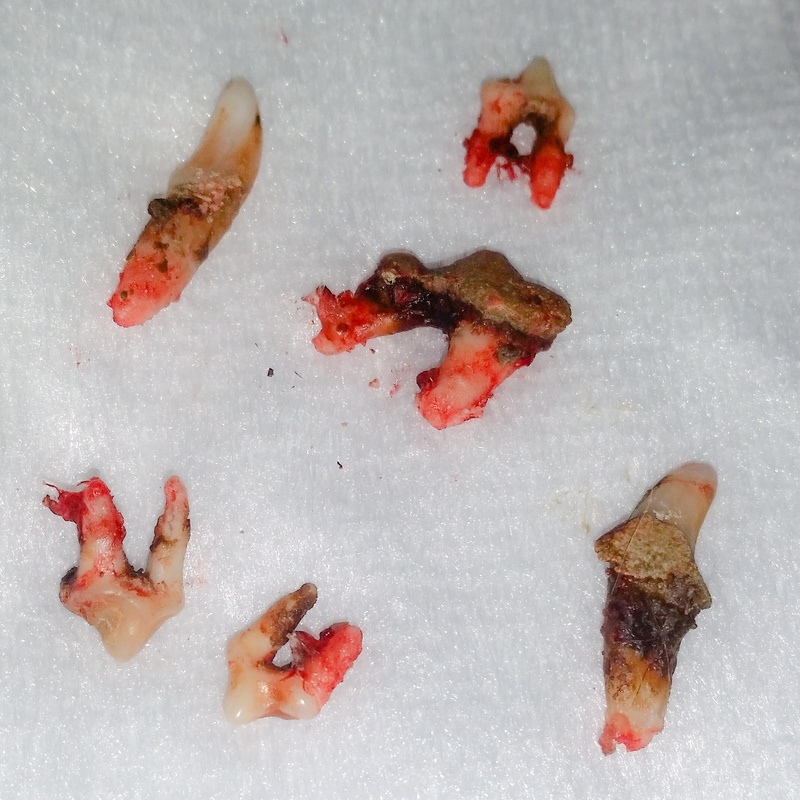 During Monday’s visit to the vet they had to pull SIX teeth. The poor guy didn’t have many teeth when we adopted him. Now he’s only got four left. Despite the trauma of the anesthesia and oral surgery on Monday, he already seems back to his normal self and definitely is not upset that he now gets to eat wet dog food. However, his big sister Dixie Belle is quite jealous of his new food and all the attention he’s gotten the past few days. Now he just wishes he could stop getting baths. Maltese salute and aloha, Tex!